This nice apartment, which has been renovated 2008, contains a living room with a double sofa bed, a kitchen, a small toilet and a shower. 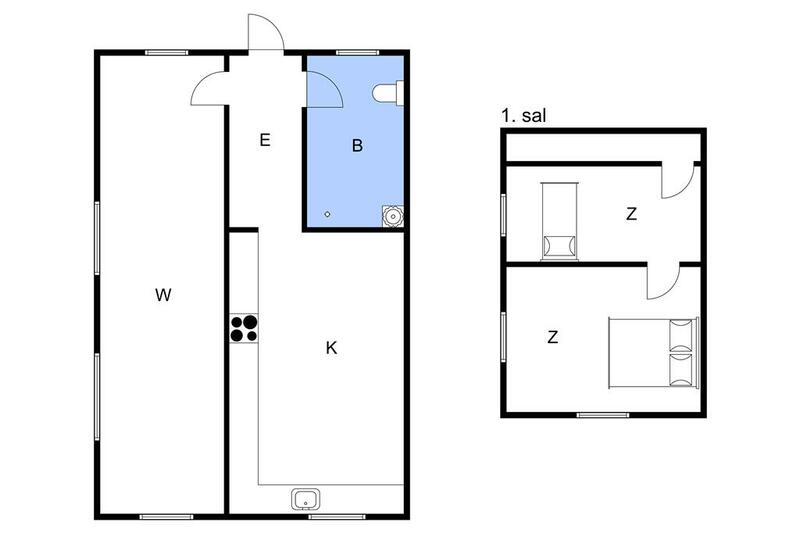 On the first floor (steep stairs) there are 2 bedrooms, 1 room with 1 double bed and 1 room with 1 single bed. Please notice that the room with the single bed is a walk through room. 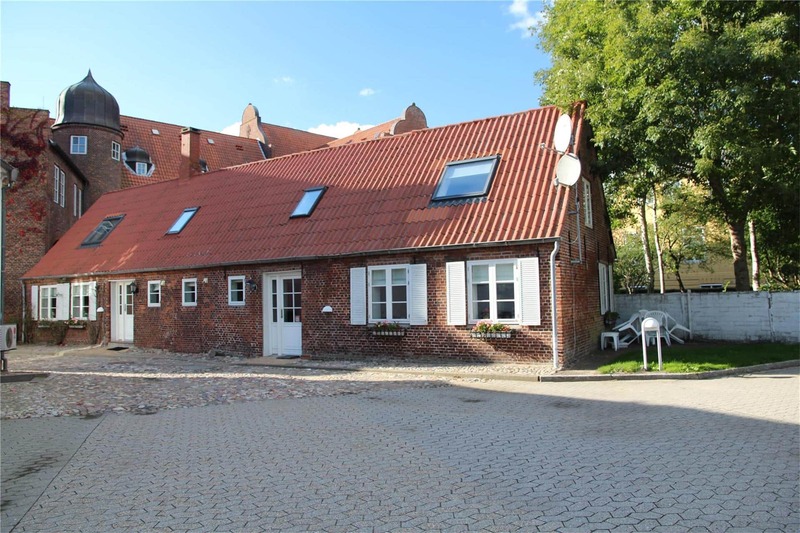 The apartment is heated with district heating for a fixed price. Outside there is a little terrace with garden furniture and a mini garden in common with apartment 0590. The apartment is situated in cosy surroundings in the centre of Tønder, close to the stream Vidå and the park. Smoking is not allowed in the holiday apartment. Please notice that the final cleaning is mandatory and cannot be opted out.